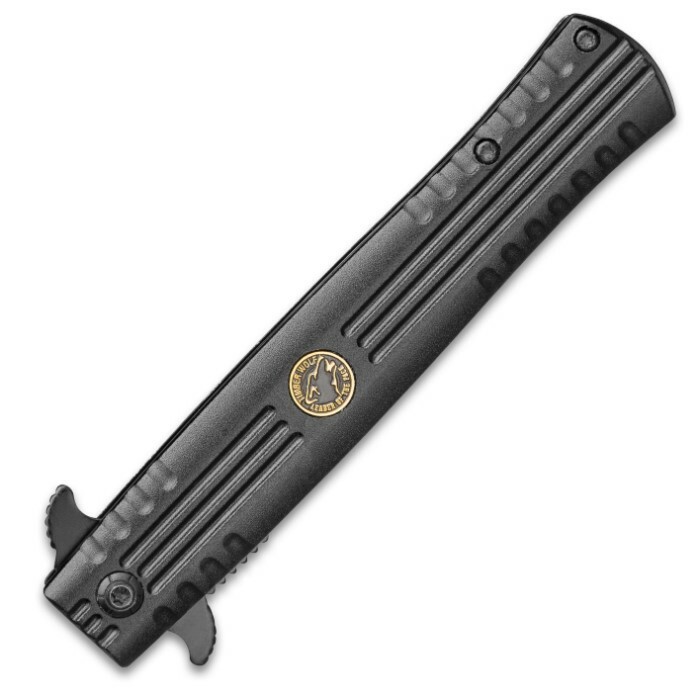 When you have a mission that needs to be done under the cover of darkness, the tools you take with you must be completely covert. 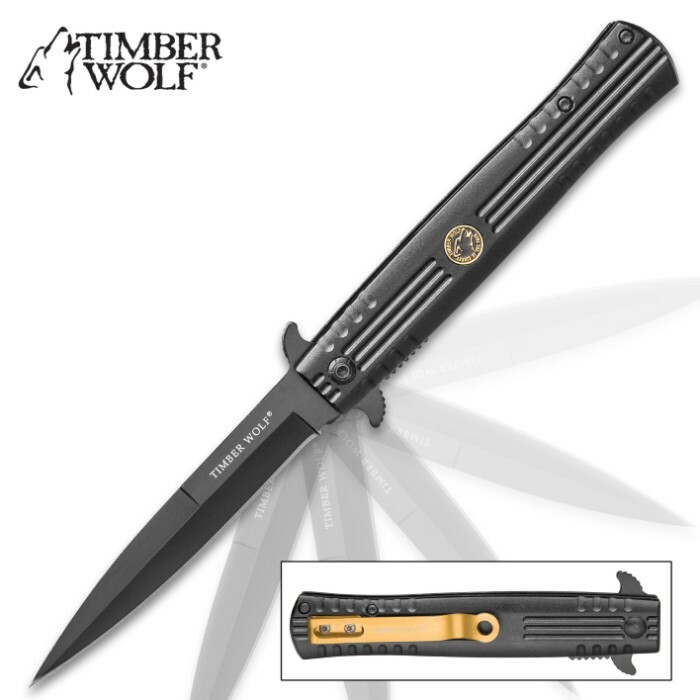 The Covert Operation Stiletto Knife from Timber Wolf has a non-reflective, matte black appearance that will not reveal your location when you’re using it. 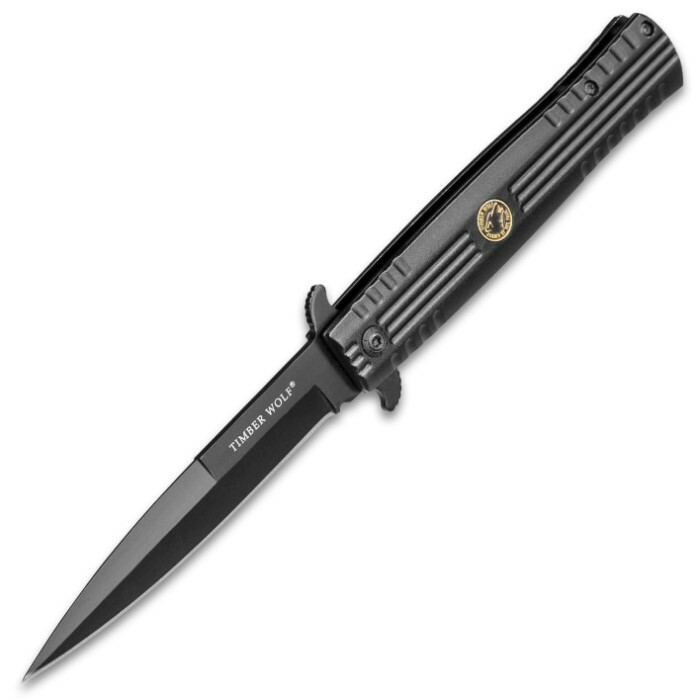 The stiletto knife has a keenly sharp 4” 420 stainless steel blade which can be quickly deployed with the assisted opening mechanism. 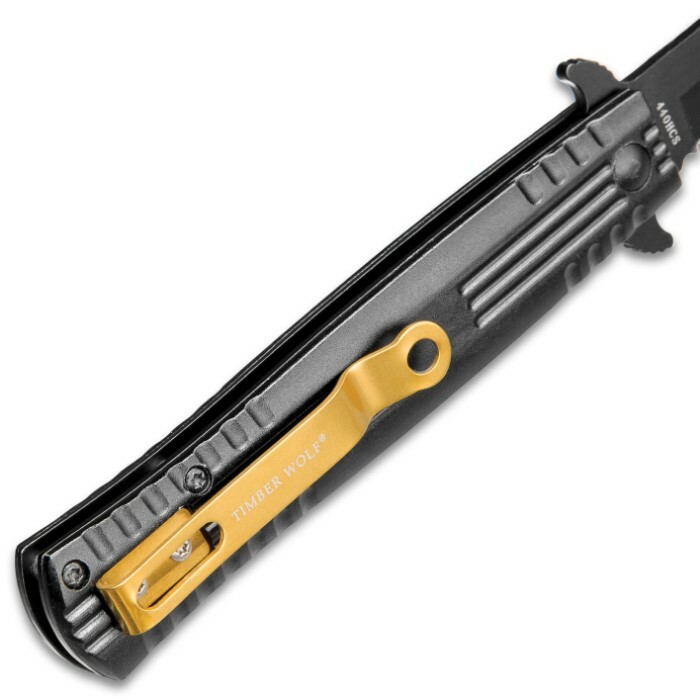 The aluminum handle has ridging on it sides to give you a secure and comfortable, slip-free grip and the aluminum pocket clip gives you convenient carry options. This is a steal for its price. Came within a week and was sharp out of the box. 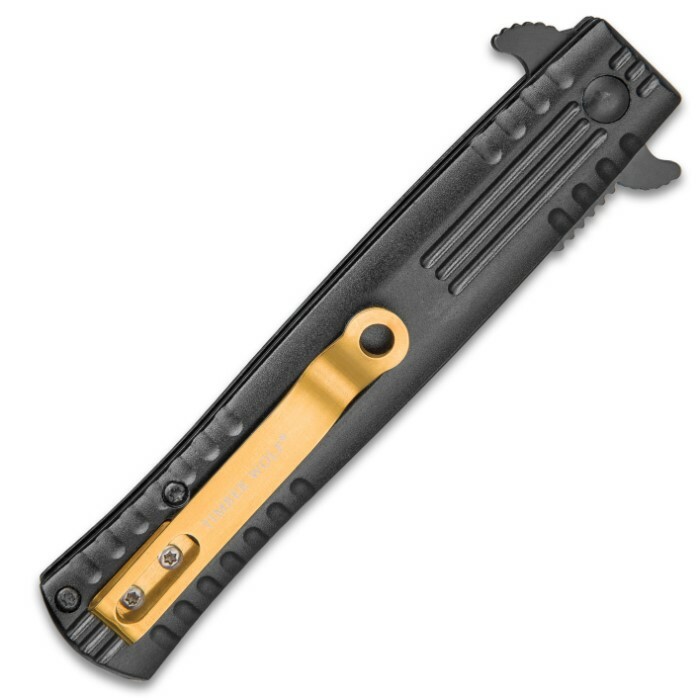 Asissted opening could be a bit faster but that's ok. Also the gold pocket clip stands out and looks really nice.